« One of the most beautiful villages in France », that's what the signs announcing Bargème say. You might think it's excessive and pretentious but you would be wrong. You will get there by a small road going up, and after a few curves you will fall for this village in no time. The view, the castle remains, the little streets, the vast areas nearby, the whole setting will charm you. It's not difficult to find a place to eat while enjoying the tranquility of Bargème. You will easily want to stay for the night, and there is a lot of pleasant places. 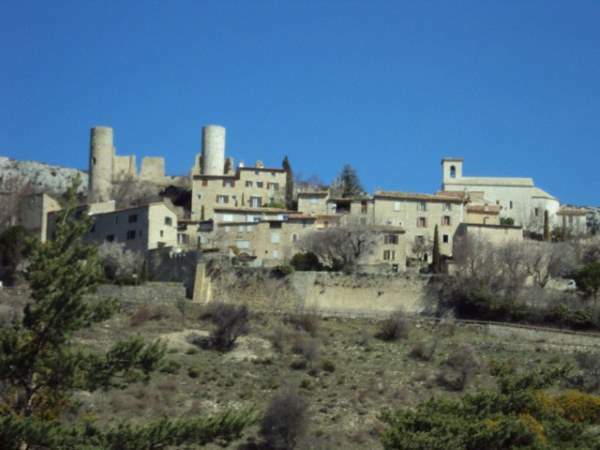 Between La Garde and Comps sur Artuby, Bargème is a village that you must visit, and you'll remember it. Possible to stay there, ideal for a romantic week-end.